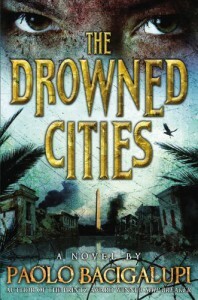 The Drowned Cities - Paolo Bacigalupi - review - So Many Books...So Little Time! Set in the same fallen world as "Ship Breakers", this book follows the story of Mahlia, a young girl left to survive on her own after the Chinese peacekeepers abandon their efforts to stop the fighting in what is left of the eastern seaboard of the USA, now called the Drowned Cities. Mahlia is what the call a cast-off, a child of a Chinese peackeeper and a resident of the Drowned Cities. When her father is evacuated back to China, she and her mother are targeted by fanatical "patriots" for collaborating with the Chinese. Her mother is killed and Mahlia is left to survive by her own wits. 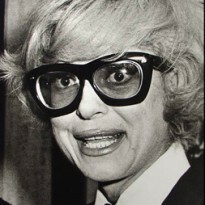 At some point she falls in the path of The Army of God, who capture her and cut off her right hand. They are about to do the same to her left when a disturbance distracts them and Mahlia escapes. The disturbance was created by a young boy called Mouse. Mouse's family members had been either killed or conscripted into whatever army attacked them. Mouse was the only survivor. He couldn't bear to see Mahlia being attacked without at least trying to save her. They end up together in a village called Banyan Tree, under the care of Dr. Mahfouz, a trained medical doctor and one of the last educated people in the crumbling remains of America. All of the above just sets the scene for what happens to Mahlia and Mouse. I absolutely devoured this book. It was excellent, even better than Ship Breakers, in my opinion. I wonder if there will be other books set in this world?